Many types of butter churns were invented from 1880 to 1920 (see the Bakers' Secrets display on the third floor) as towns, farms, and cows flourished throughout the Midwest and West. The distant transport of sweet milk or cream was nearly impossible because of the lack of refrigeration and the inefficient transportation system. To best use this cash commodity, dairy farmers separated cream from milk and converted it into butter. 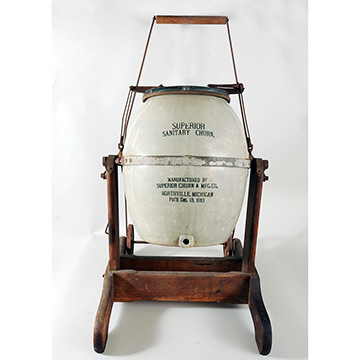 The Superior Sanitary's large, heavy ceramic barrel kept milk cooler than wooden churns did, and its interior could be washed more easily than wood. 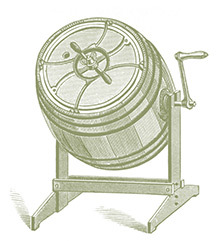 It revolved in its frame when the handle was pushed back and forth, unlike most barrel churns that were turned by a hand crank. 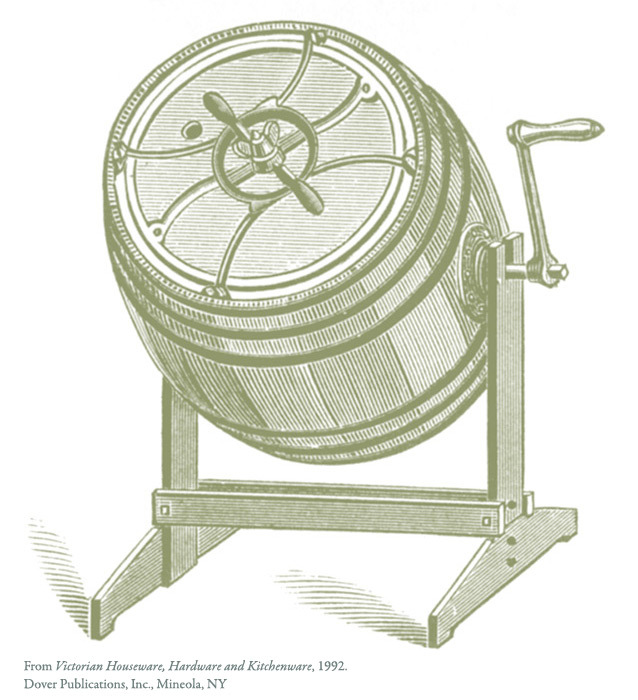 The clear glass window on the top allowed a view of the butter-making action; removing the cork from the hole at the drum's bottom released the liquid.